Average 4.5/5 out of 44 total votes. A collection of DC's Rebirth One Shots. 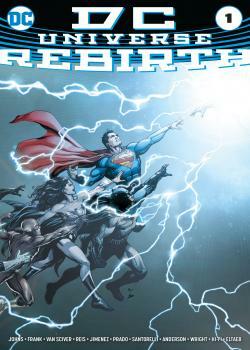 DC Rebirth is a 2016 relaunch by DC Comics of its entire line of ongoing monthly superhero comic books. Using the end of The New 52 initiative in May 2016 as its launching point, DC Rebirth is intended to restore the DC Universe to a form much like that prior to the "Flashpoint" storyline while still incorporating numerous elements of The New 52, including its continuity.